Jim Burt is Natural England’s Principal Adviser for Outdoor Learning and has recently completed a large partnership project focused on helping school children – particularly those from disadvantaged areas – experience the benefits of the natural environment by empowering teachers to bring the outdoors into everyday learning. Pupils taking part in an outdoor learning session. As the school year draws to a close, children rush out into parks and gardens across the country, enjoying the sunshine and the freedom of being outdoors (and the chance to test out Pokemon Go!). But given their enthusiasm, what can be hard to understand is why children don’t get outside more often as part of their school day too. In the natural environment sector we’re always striving to better connect people with nature so they will care about it and want to help to protect it, and it's recognised that starting early in life is important to foster that care. Schools are the obvious gateway, with regular, high quality outdoor learning as the tool. However, evidence from our Monitoring of Engagement with Natural Environment (MENE) survey has told us that in an average month during 2013-15 only eight per cent of school-aged children (aged 6-15) in England visited the natural environment with their schools. Why is that so low? Well, we know from research undertaken by Kings College London that the lack of confidence teachers have in taking children outdoors is the big issue - something we set out to address through the Natural Connections Demonstration Project. Natural Connections was a four-year project that tested ways to embed outdoor learning in schools, designed with partners in response to evidence on the barriers teachers face. It was delivered by Plymouth University and local delivery partners, who supported 125 primary and secondary schools across the South West. Last week we released the findings from Natural Connections at an event hosted by our Chairman Andrew Sells, using social media to share evidence of the impacts the project has had on both pupils and teachers, alongside insights into how outdoor learning was successfully and sustainably embedded into schools. Myth 1: In order to get outdoor learning into schools we need to change the National Curriculum. This myth has been around for some time and can be really unhelpful as it suggests outdoor learning is a separate area which needs to be crammed into an already full curriculum. However, outdoor learning isn’t a subject or topic; it’s a way of teaching. Natural Connections shows that school grounds and local spaces can be used daily to enhance teaching and learning right across the curriculum – schools involved in the project have had lessons looking for mathematical shapes outside, and taken art and science lessons out on the school field or around the corner to the local park. Schools of any shape and size can get on board with outdoor learning, and it brings a wide range of associated benefits to children’s social and emotional skills and to their health. Myth 2: Outdoor learning is just for extra-curricular activity. For many working in education, outdoor learning is seen as only an extra-curricular activity, often squeezed in around the school day or as an end of term reward. In the Natural Connections project however, we found that teachers used the outdoors extensively for core curriculum subjects. The most popular curriculum areas taught outside were unsurprisingly PE and science, but also English and maths. Over 90 per cent of schools surveyed found outdoor learning to be useful for curriculum delivery. The findings relating to pupils’ enjoying lessons more (95% of schools) and engaging better with learning (92% of schools) reflect use of the outdoors for everyday lessons. 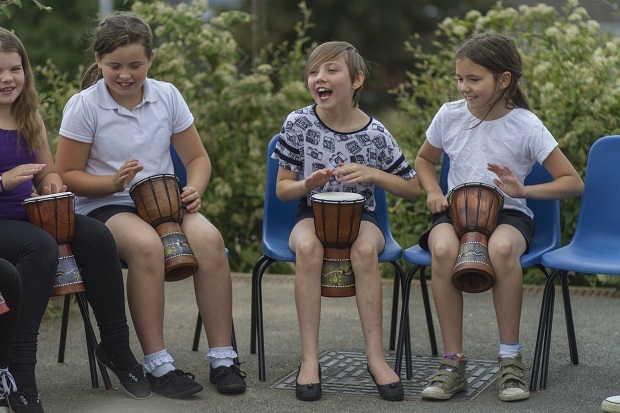 Outdoor learning can be used across the curriculum - whether that's a music lesson on the school field or maths in a local park. Myth 3: Outdoor learning is about trips and residentials and is too expensive for many schools. There is no doubt that well planned trips and residential experiences can be highly effective in supporting teaching and learning and can bring positive impacts long after returning to school. This is showcased in a recent report from Learning Away. However, establishing a progression of regular outdoor learning experiences throughout the school year is the way to help children get the full range of benefits that come from high quality outdoor learning. The trick to achieving this is to work with schools to develop a culture that values and delivers outdoor learning , with teachers frequently using outdoor spaces to support their everyday teaching – whether that be in spaces very close to school or those farther away. 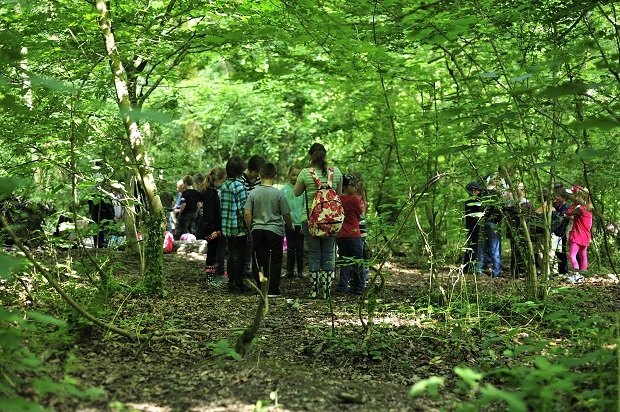 Natural Connections suggests that regular outdoor learning in schools will increase the confidence and skills that teachers have to make trips and visits away from the school. The project also shows that outdoor learning providers who normally offer trips were also able to develop teachers’ initial confidence by adapting their services to meet the needs of individual schools, for example by offering tailored CPD (Continued Professional Development). A locally focused approach to regular outdoor learning is very inexpensive. 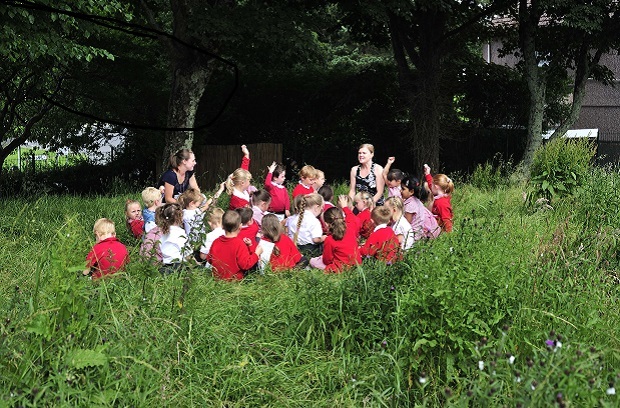 Schools taking part in Natural Connections spent small amounts on their school grounds and on CPD, and reported that this was extremely good value for money. One Deputy Head Teacher (from a secondary school with 800 pupils) recently told us that their involvement in the project over four years had cost the school less than they spent on tea and coffee! Myth 4. Unless we can show outdoor learning has an impact on exam results we won’t be able to convince schools. 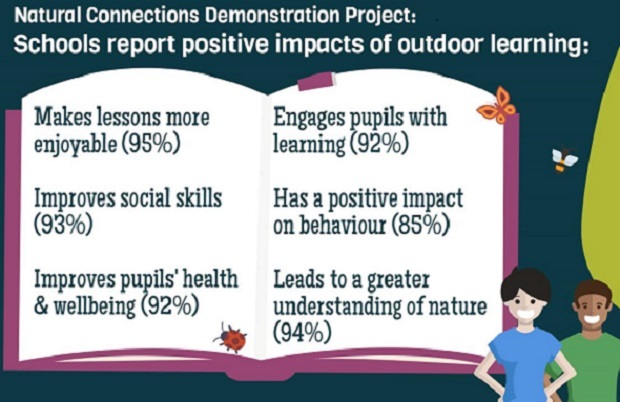 Natural Connections was the largest outdoor learning demonstration project in the country, and for the first time we are able to show strong evidence that regular, locally-based outdoor learning has a range of positive impacts on schools, pupils and teachers. Children were found to be happier, healthier and more motivated to learn when their lessons were outside. The ongoing success in recruiting and retaining schools beyond the life of the Natural Connections project is an indication that schools and teachers are seeing improved performance in their pupils, are trusting their professional judgement and do not need to wait for evidence from formal tests before making changes. Transforming the culture of schools so they are dynamic and inspiring places for children to learn and teachers to work is central to ensuring all pupils are healthy, happy and achieve their full potential, and thereby support the drive for enhanced academic performance. The evidence from the Natural Connection project shows that outdoor learning can make an important contribution in helping schools to achieve these outcomes so, in my view, our aim should be to make outdoor learning an everyday part of curriculum learning in schools up and down the country. Find out more on the Natural Connections blog. Thank you so much! The evidence I've been seeking!! !